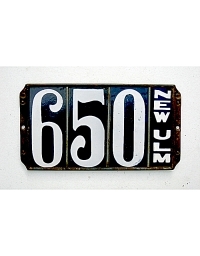 Have a plate you're interested in learning more about? 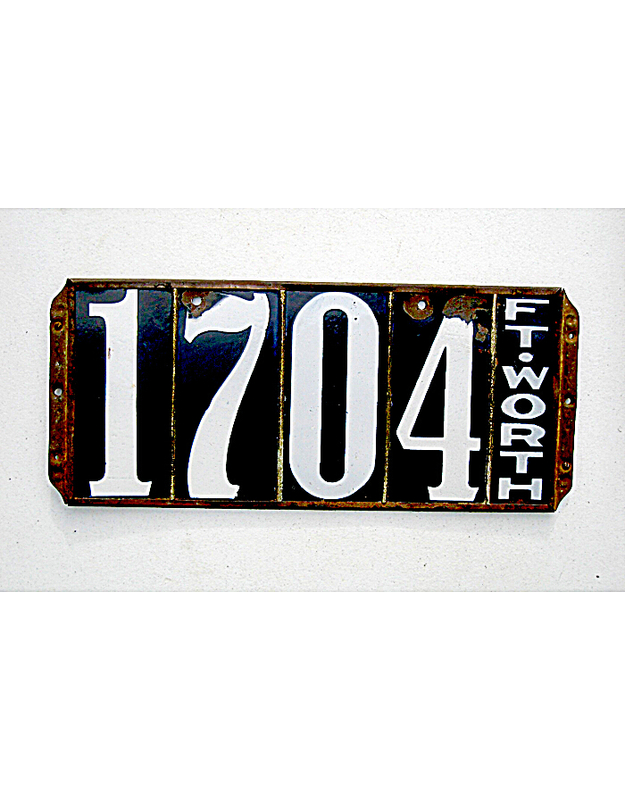 Have any plates you'd like to sell or have appraised? 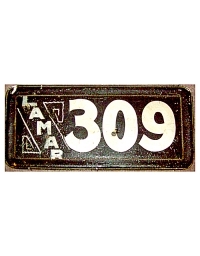 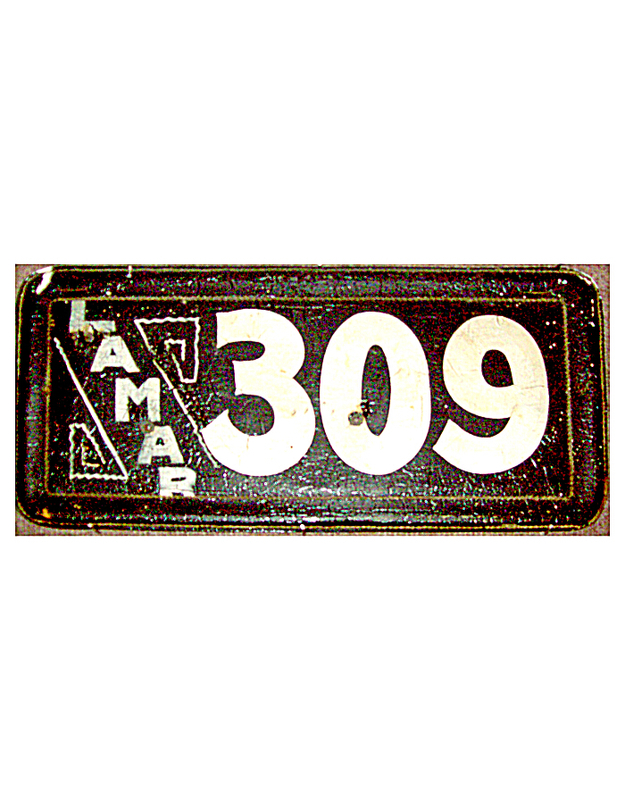 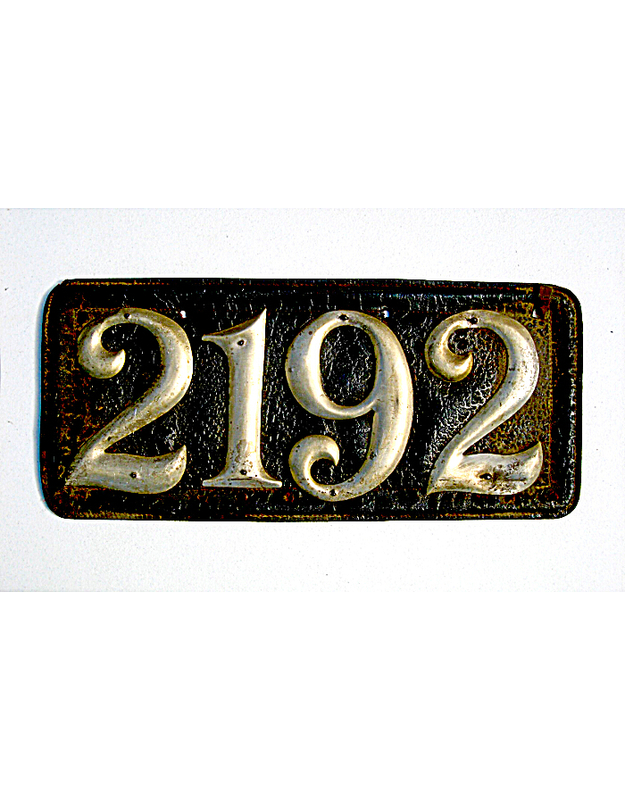 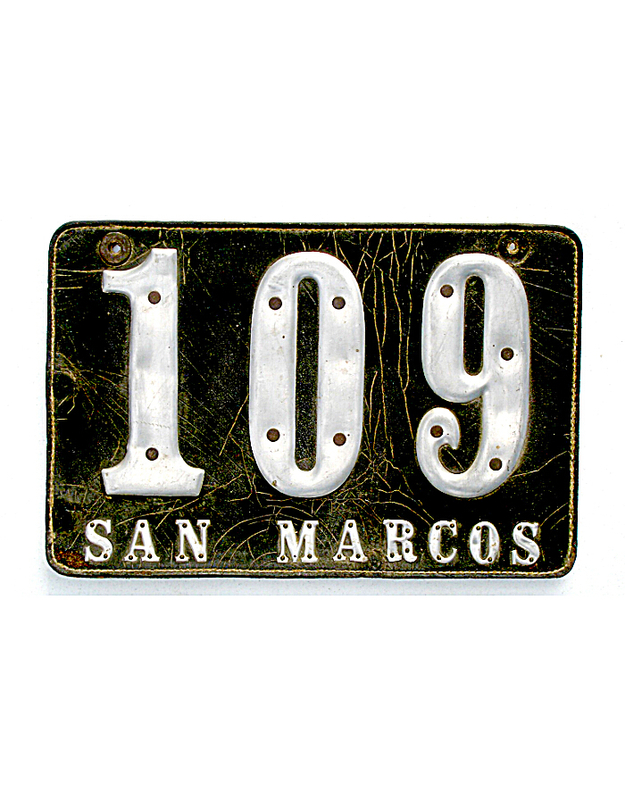 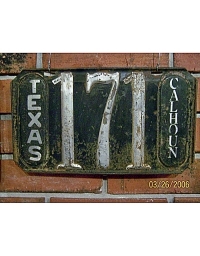 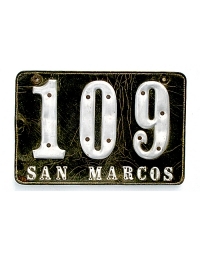 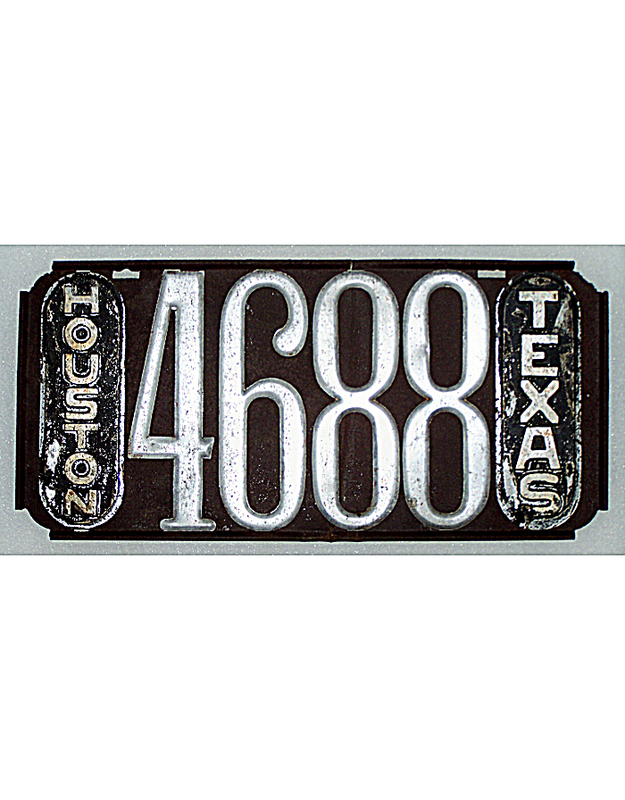 The State of Texas delegated automobile licensing to each county beginning in 1907, and continued until 1917 when the first state-issued license plates appeared. 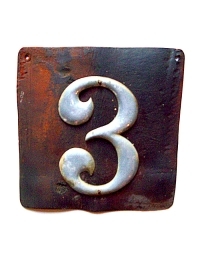 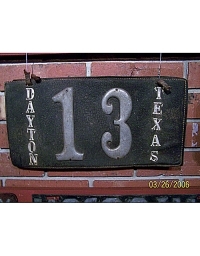 State law required each county to begin assigning numbers at #1 and to continue sequentially for as long as necessary. 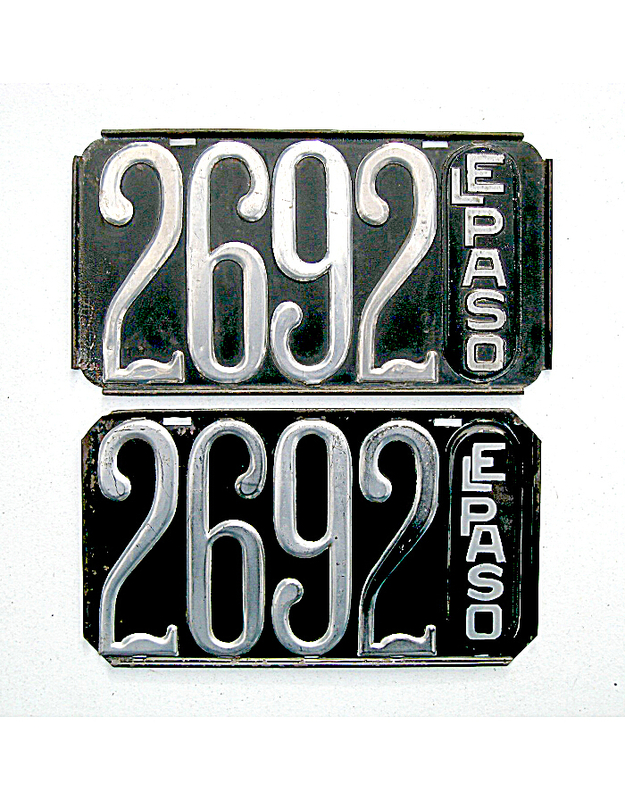 Motorists were required to display the registration number in characters six-inches tall, which is unique to Texas pre-state tags. 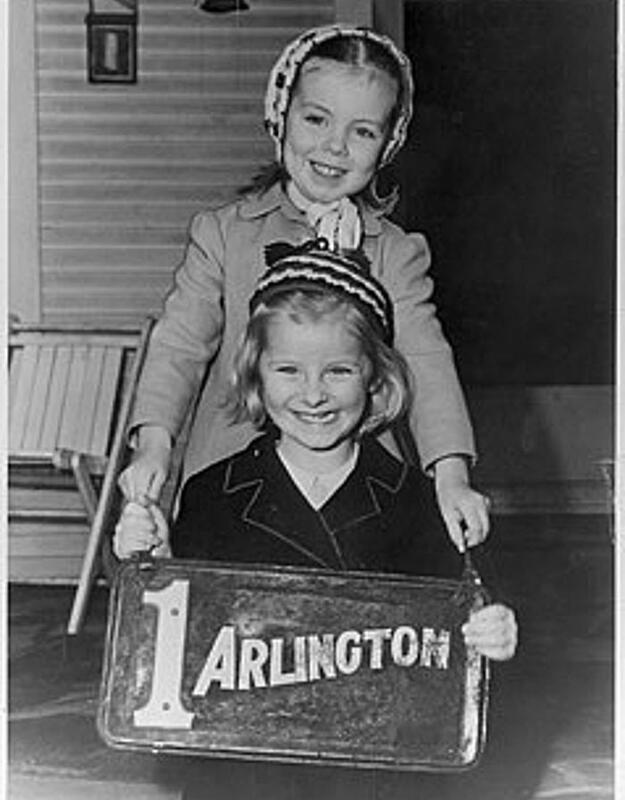 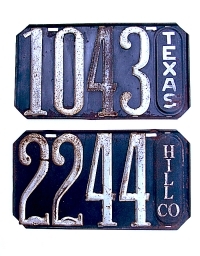 There was no requirement to place the county name on the tag, but many motorists did so – owners could also use the name of their town, or could apply the state name TEXAS spelled out in full. 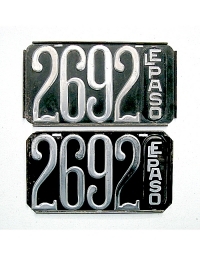 Use of any identification marks was unofficial and had no meaning under the law. 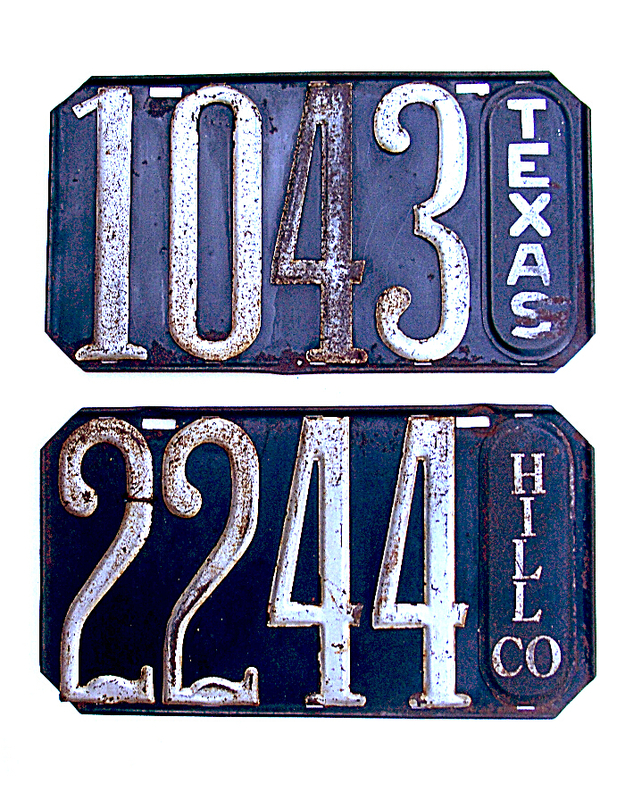 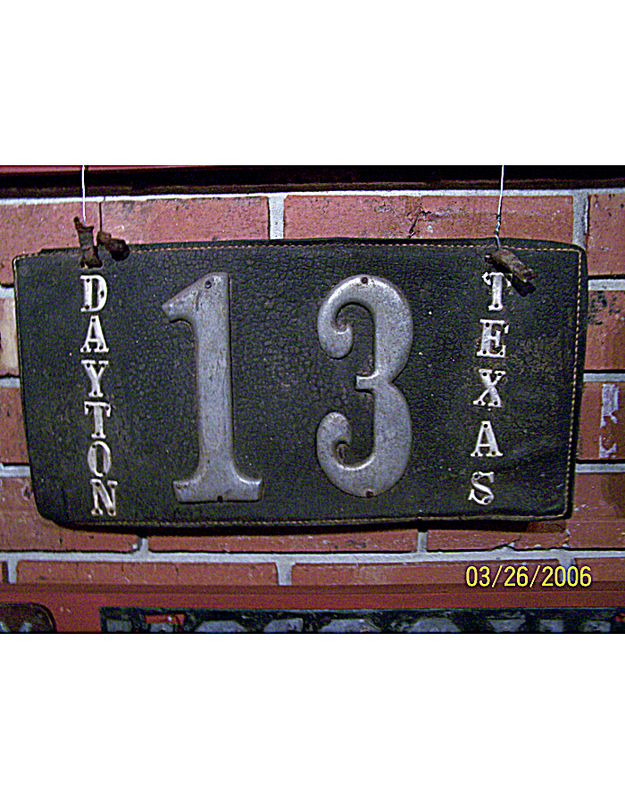 Texas auto owners made their tags in as many styles and types as they wished, much as in other states. 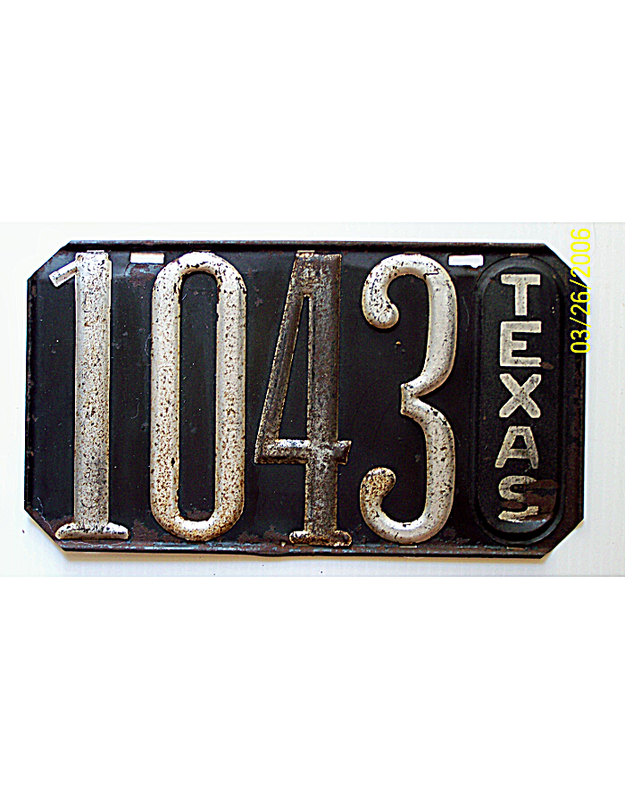 But, in the case of Texas tags, the six-inch numerals provide positive identification since no other jurisdiction in America required digits as large. 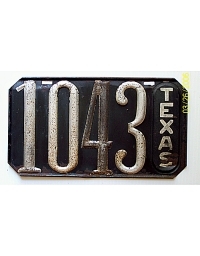 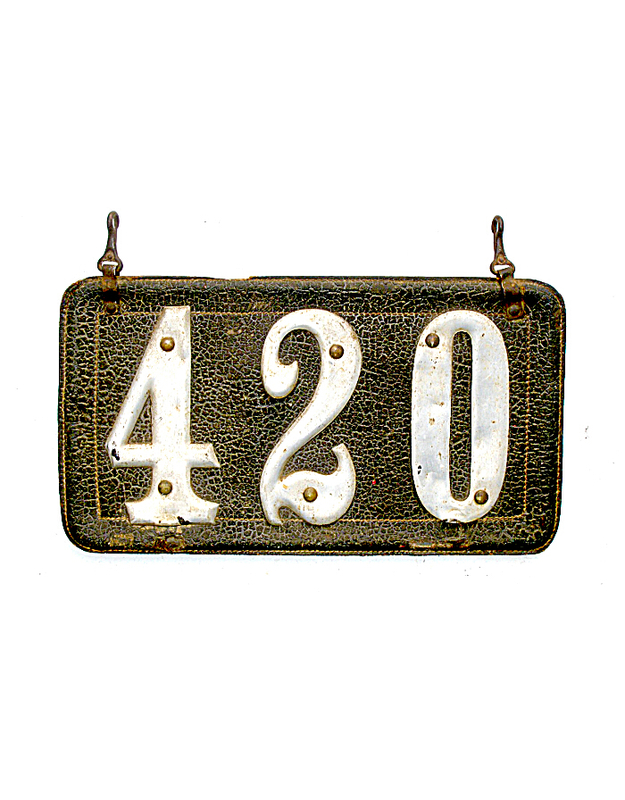 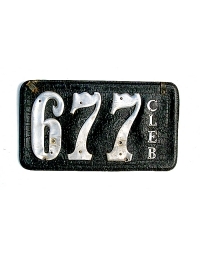 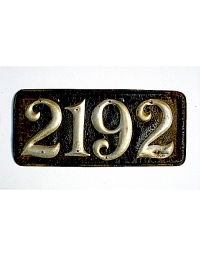 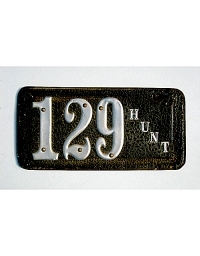 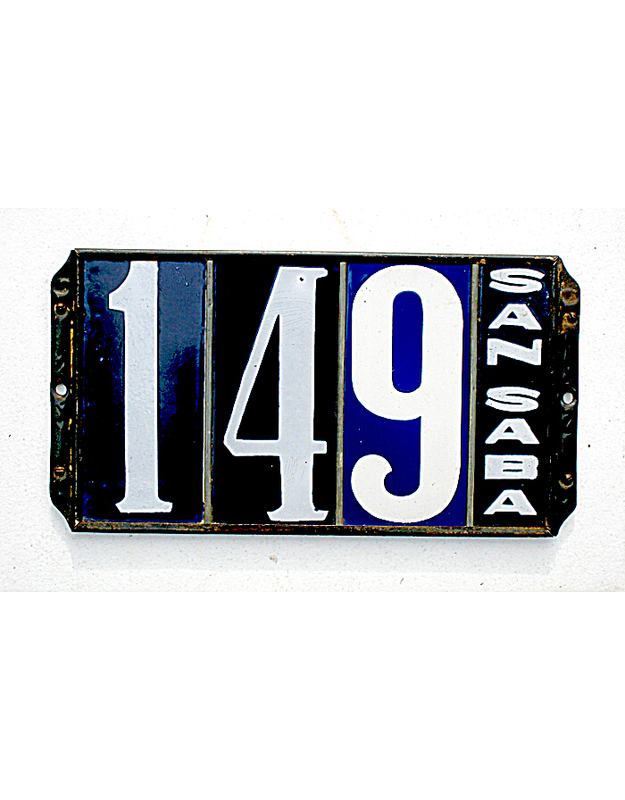 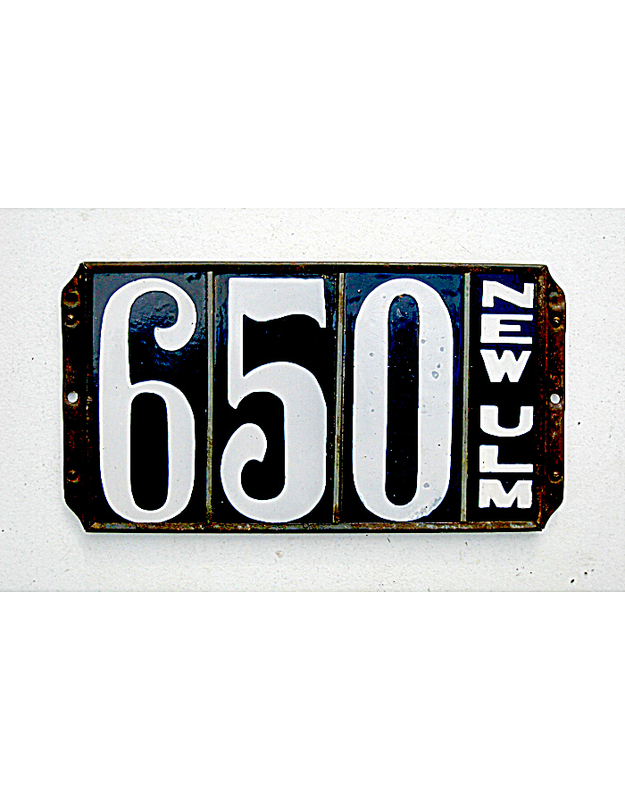 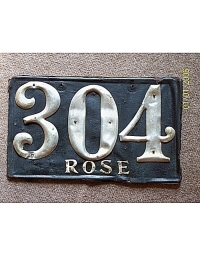 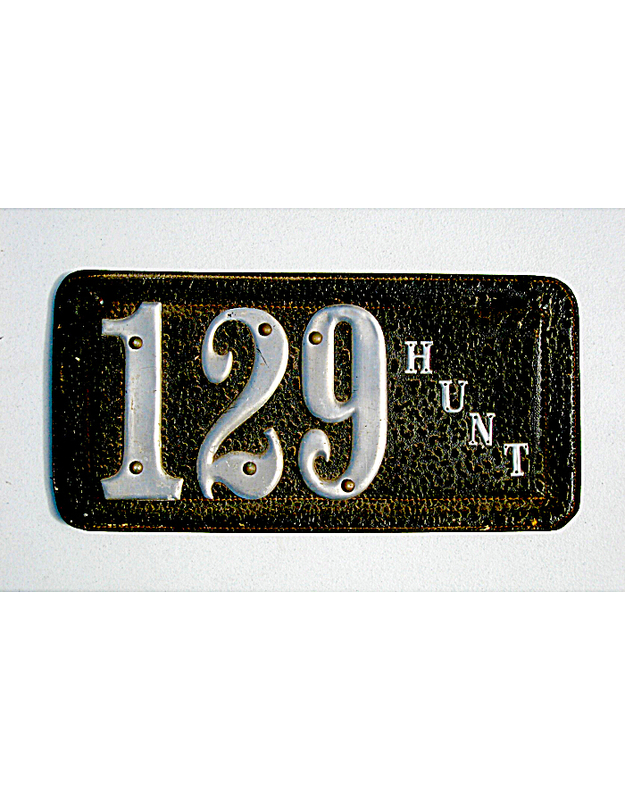 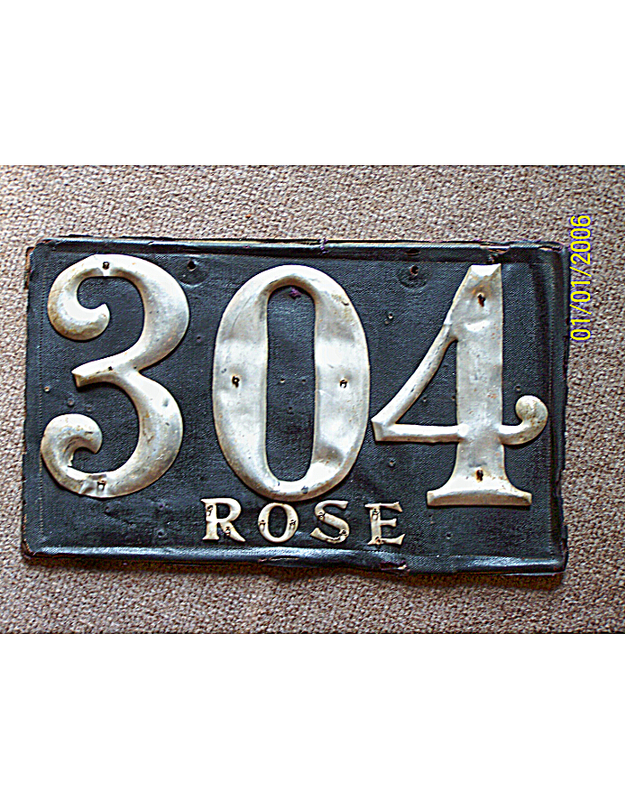 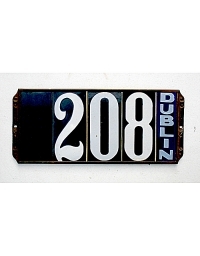 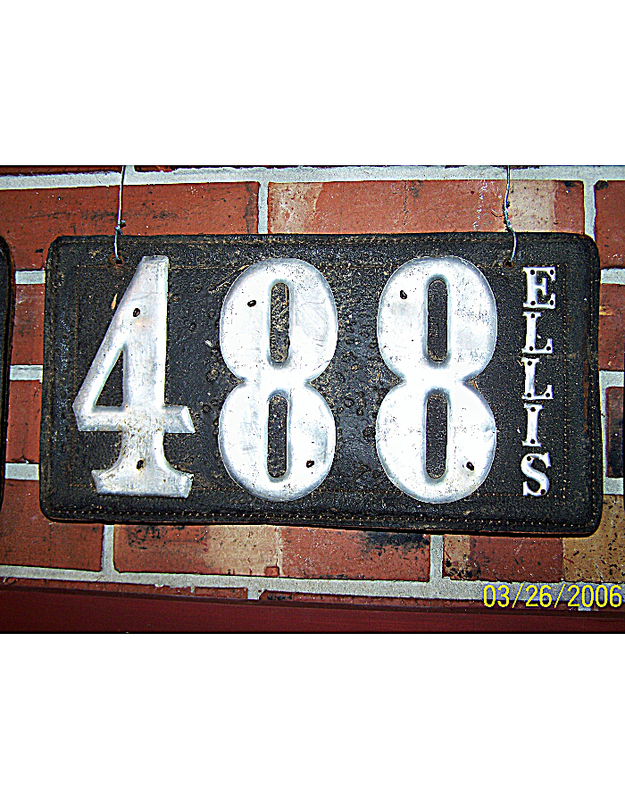 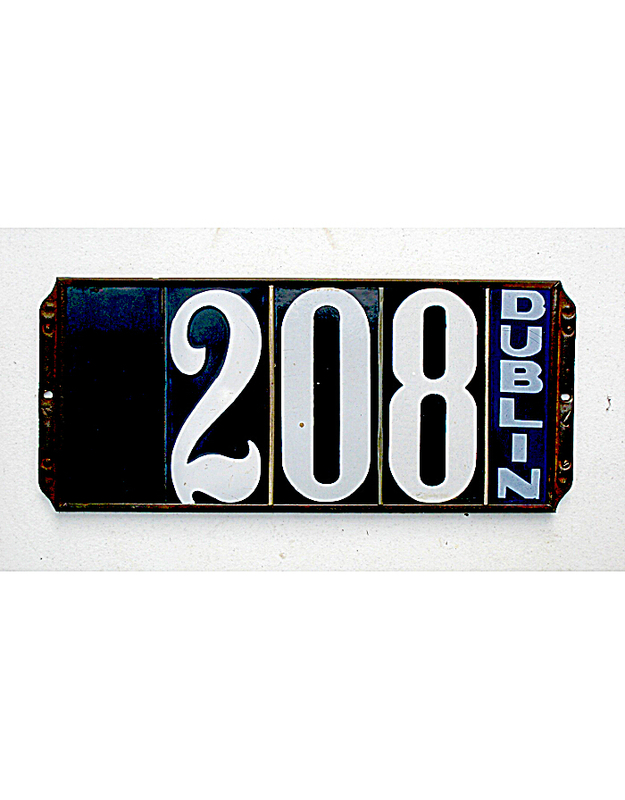 In addition to owner-made plates, there were commercially available “kits” for license plate making that could be purchased in hardware and auto supply stores. 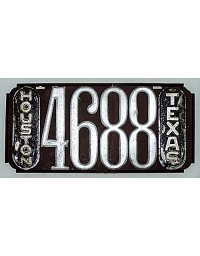 The Stafford Auto Illuminating Company of Chicago sold in Texas a kit consisting of porcelain and embossed-metal digit tiles that were to be slipped into a steel backing plate, then suspended from the rear of the auto. Stafford also sold porcelain and metal tiles with every conceivable Texas county and town name spelled out, as well as those with the state name. 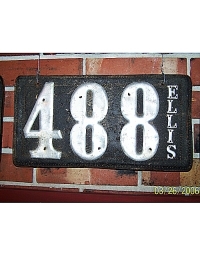 Owners were free to add these identification tiles if they wished, and many did. 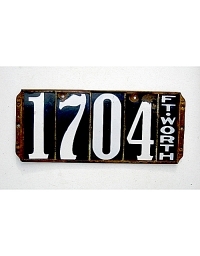 Another commercially available license plate kit was offered by Gopher Stamp Company of Minneapolis. 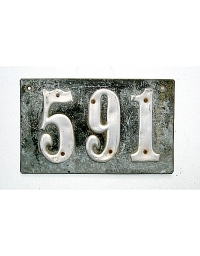 Similar to the Stafford kits, the Gopher product consisted of a steel backing plate to which silver-painted digit numbers could be attached by tabs. 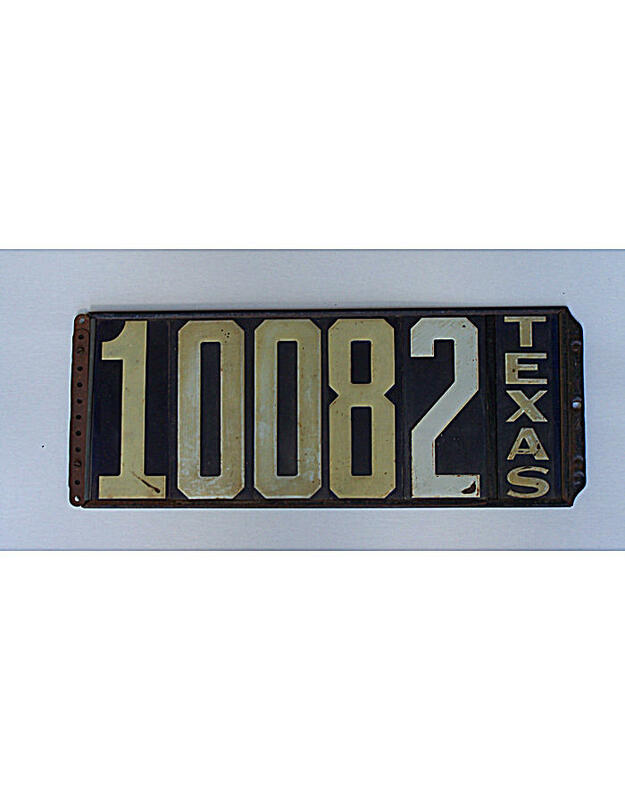 Gopher also offered tabbed metal tiles with names of towns, counties, and TEXAS which auto owners could use if they wished.